Universally praised as one of the smoothest and silkiest bourbon whiskeys on offer today, Jefferson’s exclusive small batch 17 Year Old Presidential Select is the stuff of a whiskey connoisseur’s dreams. Released on a limited basis back in 2009 and with demand on the rise as it becomes increasingly difficult to obtain, this well aged Kentucky produced wheated bourbon can be identified by an attractive copper color – flickering from amber to mahogany depending on the light. Jefferson’s has since released an 18 Year Old and a 21 Year Old Kentucky Bourbon, which may be easier and cheaper for the American whiskey fan to acquire. It has a sweet bouquet of coconut, roasted nuts and nougat, with tasting unveiling to the fortuitous drinker syrupy flavors of vanilla, caramel apples and taffy. Meanwhile Jefferson’s younger – but no less satisfying – regular small batch bourbon won a Gold Medal at the San Francisco World Spirits Competition in 2008. The brand produces its soft ‘liquid gold’ in metal clad warehouses, the heat forcing the bourbon to expand deep into its wooden barrel, releasing the most prevalent flavors. Created in a country much better known for technology and electronics than for its whiskey production, Taiwan’s Kavalan distillery in the Northeastern county of Yilan has nonetheless garnered a somewhat unexpected international reputation. In the space of seven short years, the modern whiskey brand – producing a small range of whiskeys and sherries onsite – has been the subject of critical acclaim, with its Single Malt Whiskey our expert’s choice pick. Kavalan attribute their whiskey’s special character to the use of cold and pure spring water flowing through the nearby Snow Mountain and a complex recipe which involves a variety of casks – including fresh bourbon, fresh sherry and wine. Its single malt has a clean, elegant and floral nose, with ‘the pleasant and refreshing fragrance of the butterfly orchid’. To taste, it has a hint of sweet mango juice, with a spicy complexity and gentle warmth. One not to be missed for the intrepid whiskey adventurer. Produced at its Yoichi distillery in southern Hokkaido, surrounded by mountains on three sides, Nikka’s ten year old single malt is one of Japan’s best loved whiskey exports – as well as being one of the most affordable options on our list. The company’s founder, Masataka Taketsuru, traveled to Scotland as a young man in 1918 to train in the art of whiskey-making, becoming the first ever Japanese individual to apprentice in the business in Glasgow while studying chemistry. Taketsuru’s family had been in the sake business since the early eighteenth century, but it was Scotch whiskey that he was most passionate about and he set up the company’s first distillery in Yoichi in 1934. Nikka’s rich and peaty malt whiskey is created using the traditional method of heating pot stills with finely powdered natural coal, a method rarely practiced today that greatly adds to the drink’s special character. “This is the whiskey of James Joyce” enthuses our expert of Green Spot, a sensory delight produced exclusively at the Jameson distillery for Dublin’s Mitchell & Son, purveyors of confectionery, wines and fortified wines since 1805. The spicy barley-flavored tipple derives its name from the period when the Mitchell family sent empty wine, sherry and port casks via horse and cart to the local distillery which were then filled with whiskey and returned to their cellar warehouse to mature. The family sold a range of whiskeys under their self-created ‘Spot’ brand name. The somewhat odd title originated from their practice of marking casks of different ages with a daub or spot of colored paint. There was a Blue Spot, Red Spot and a Yellow Spot, but Green Spot became their most popular whiskey and is one of the few “whiskey bonder brands” still available to buy today. Described as ‘the perfect after dinner drink’, The Macallan Sherry Oak is one of the most exclusive single malt whiskeys available for immediate purchase. Hailing from the world class whiskey producing region of Speyside in Scotland, The Macallan distillery was founded by a local barley farmer and schoolteacher back in 1824, in an area where farmers had for centuries distilled surplus crops during the quiet winter months. 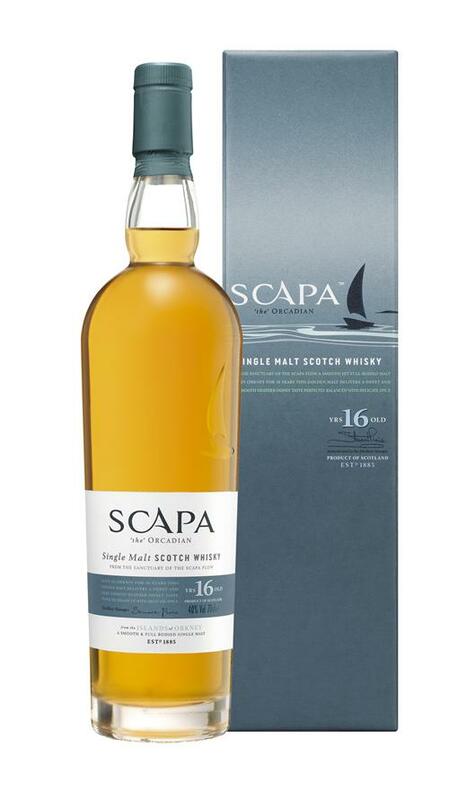 One of the reasons behind this single malt’s unique characteristics and spectacular quality is its maturation in sherry-seasoned casks commissioned to be built solely from Spanish and American oak. These are the most expensive of all cask types used to mature Scotch, creating in The Macallan Sherry Oak a dark and deeply satisfying whiskey, rich in aromas and flavors of dried fruit, spice, chocolate and – as you would naturally expect – sherry. The Glenfarclas distillery is one of the few left in Scotland that is still family owned and managed, producing a high class sherry influenced whiskey using only spring water, malted barley and yeast. 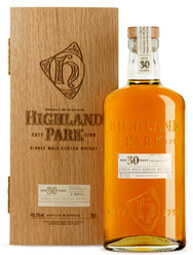 Now in the hands of the fifth and sixth generation members of the Grant clan, its 40 Year Old Single Malt Scotch – added in 2010 – is one of its most impressive offerings to date. Winner of Best Speyside Whisky at the World Whisky Awards back in 2011, this mature single malt has oft been referred to as ‘a little dram of heaven’ and is a spectacular dark amber with red hues in color. In his official tasting notes, family member George S Grant describes its scent as “reminiscent of relaxing in an old leather armchair while eating walnuts and chocolate covered raisins”. Its rich and complex array of flavors include orange, burnt brown sugar and dry cocoa beans as it moves impressively from sweet to a dry finish. Midleton Very Rare lives up to its name – just 50 casks of this precious blended whiskey are created each year at the same Cork distillery where affordable global brand Jameson is also produced. A new collectible vintage has been released annually since 1984 and only the best whiskeys matured in seasoned oak casks are chosen by master distiller Barry Crockett, who signs each individually numbered bottle to denote its quality. Due to the hand-crafted nature of Midleton Very Rare, there are subtle variances in its taste from year to year, which creates part of its allure. All of the distillates used in what has been described as ‘Ireland’s most exclusive whiskey’ are triple distilled and are aged for between 12 and 25 years in hand-selected bourbon or sherry casks, meaning whichever year you are sampling, it is bound to be worth the effort. The most expensive whiskey on our list by a long way, John Walker & Sons Diamond Jubilee makes the grade for not only for its royal associations and exclusivity, but also for its distillers’ reputation as one of the best in the entire world. Its carefully concocted grain and malt whiskey blend, created by Queen Elizabeth’s official Scotch distillers to celebrate her Diamond Jubilee, was carefully matured for 60 years in small wooden casks at Royal Lochnagar Distillery – on the edge of the Balmoral Estate. The whiskey developed slowly from 1952 in containers specially carved from oak from the Queen’s private Sandringham Estate, with its profits sold in aid of the Queen Elizabeth Scholarship Trust last year. Presented in a Baccarat crystal decanter set with a half carat diamond, a chance to sample this ‘royal whiskey’ is one that some may argue justifies the hefty price tag. The High West Distillery and ‘Saloon’, based 7,000 feet high in the Rocky Mountains in Utah, has been the edgy small batch producer of a distinctive blended rye whiskey since 2007. Rendezvous Rye merges an aromatic 16 year old rye with a spicier six year old to create a unique whiskey, which our expert describes as “slightly mysterious, with almond and mint notes to taste and a sustained and complex finish”. The Utah distillery – the brainchild of a biochemist and bourbon lover – has recently reinvigorated the area’s whiskey legacy and is the first to be built there since 1870. This Rocky Mountain whiskey has already won high praise and several prestigious awards, including Double Gold at the San Francisco World Spirits Competition in 2008. Asked for his premium whiskey liqueur, our expert has no hesitation in pointing us in the direction of the surprisingly affordable Drambuie from Scotland. 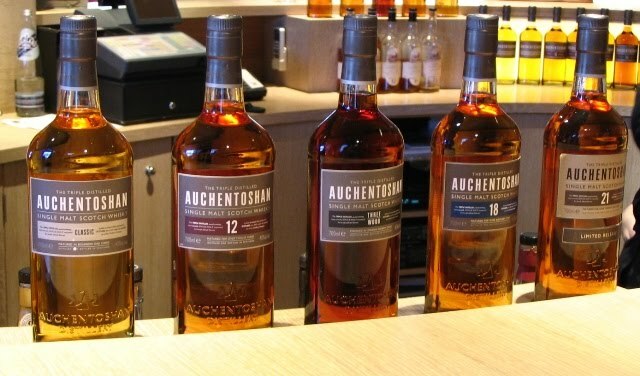 A highly unique liqueur of Scotch malt whiskey, spices, heather honey and herbs, legend has it that its recipe was handed down from Bonnie Prince Charlie to the chief of a native Scottish clan back in 1746. The name ‘Drambuie’ – originating from the Scots Gaelic for ‘the drink that satisfies’ – was patented in 1893 by a hotelier family on The Isle of Skye who were lucky enough to be handed a handwritten copy of the recipe. A truly ‘magical’ elixir, this one is best sampled over crushed ice – with a long-aged version containing glorious 15 Year Old Speyside whiskeys recently coming into production. Next articleIf beer ads were forced to be honest.